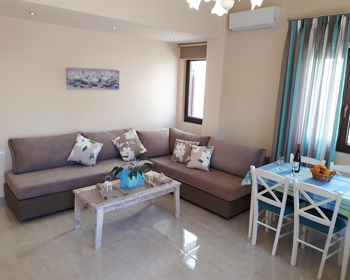 Iro Apartments and Iro Boutique Homes are located in Nea Hora area, one of the most popular areas of Chania town, uniquely combining a beautiful, sandy beach,	as well as vicinity to the centre of the city and the famous Venetian Harbour. 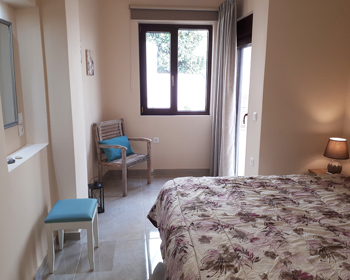 It comprises studios, apartments and the NEW Iro Boutique Homes, all with private bathroom, balcony/terrace, well equipped kitchenette, free wi-fi, TV, A/C and safety box. 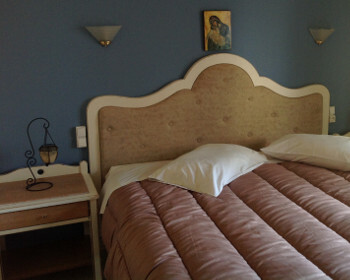 The rooms are of traditional Cretan-Venetian style, decorated with wooden furniture and bright fabrics; spacious, sunny and comfortable. Here, you will enjoy comfort and cleanliness as well as personalised care, warmth and hospitality that only a small, family-run hotel can offer. We make every effort to ensure that our guests, who are considered members of the family, have a very pleasant holiday, and we are always willing to satisfy their needs in a prompt and friendly manner. 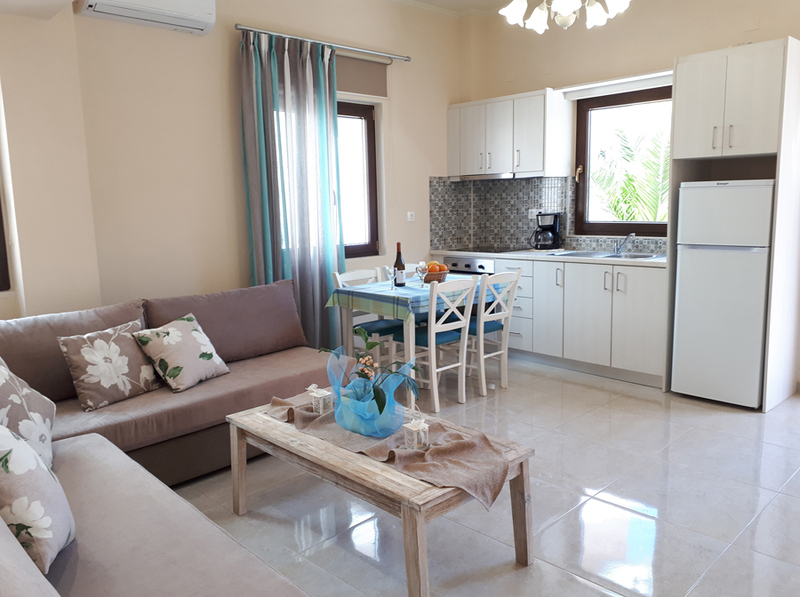 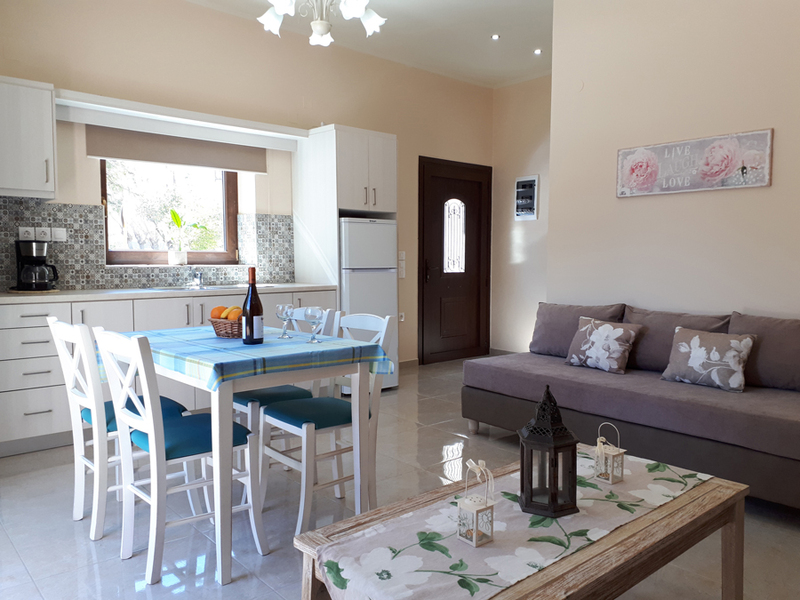 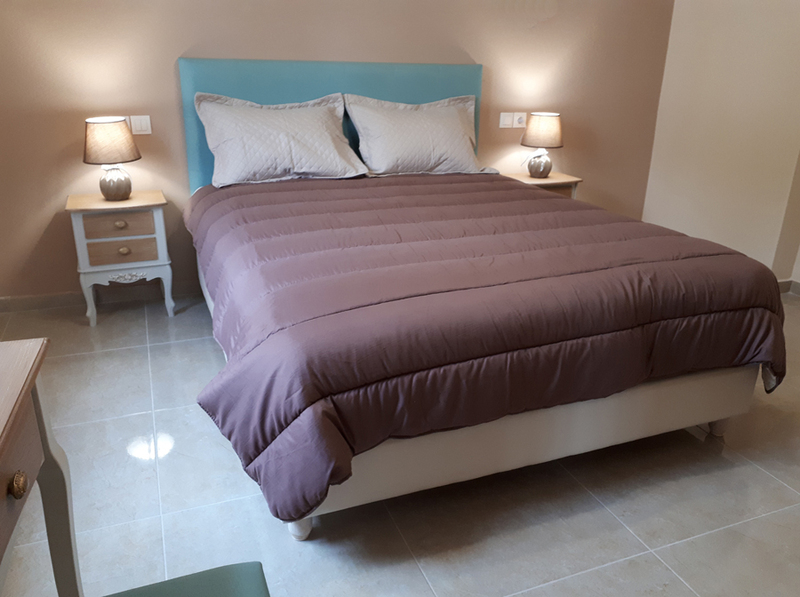 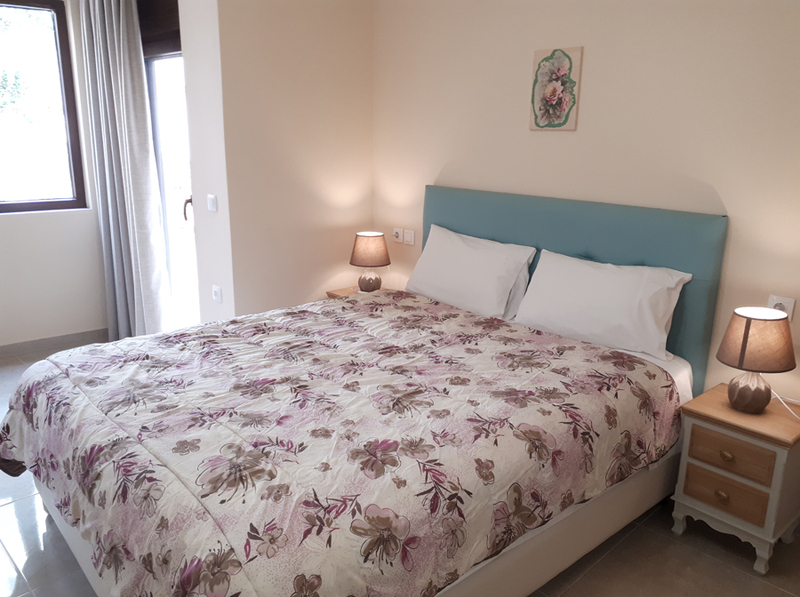 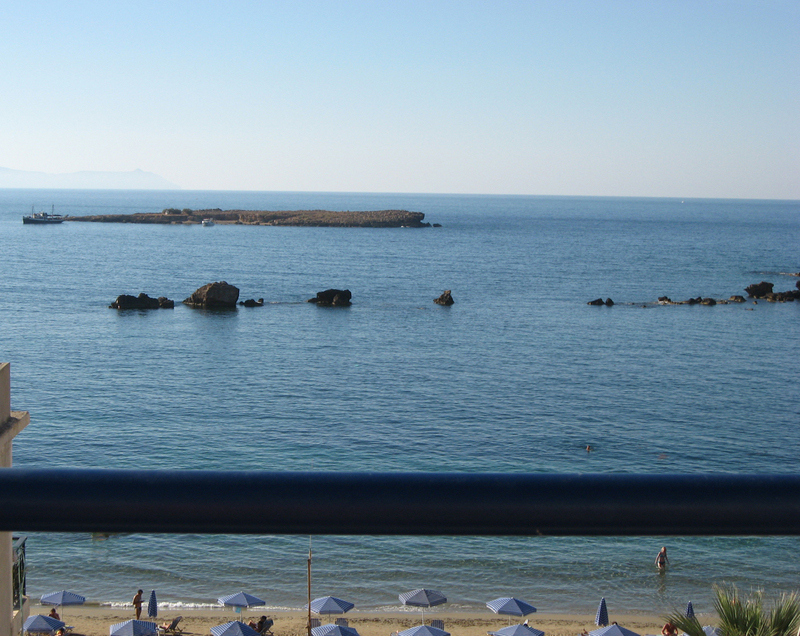 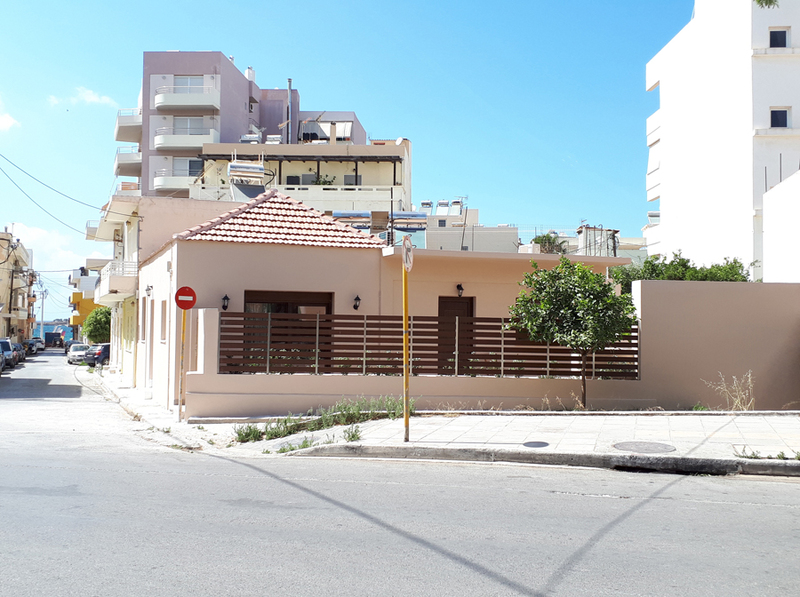 A small unit of charming and comfortable studios, apartments and the NEW Iro Boutique Homes, just steps from the sandy beach, and within 800 meters from the center of Chania, the old port and the amazing old town. 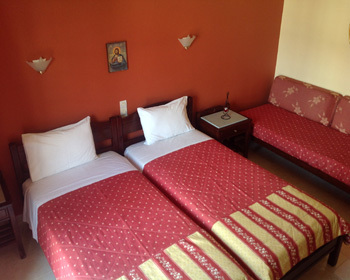 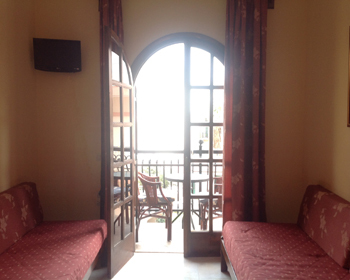 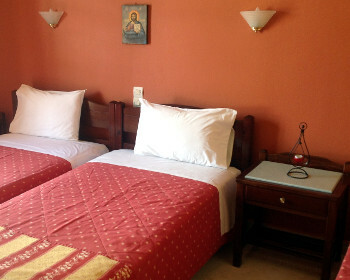 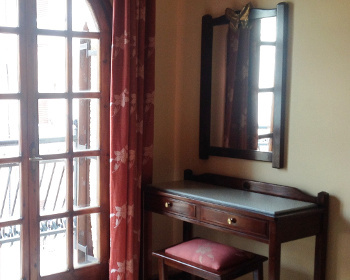 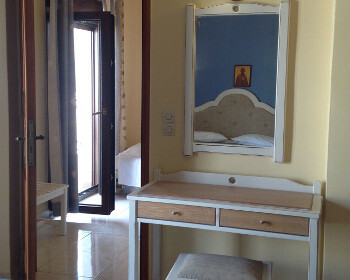 Studios (circa 28m) have one room each and can accommodate up to 3 persons. 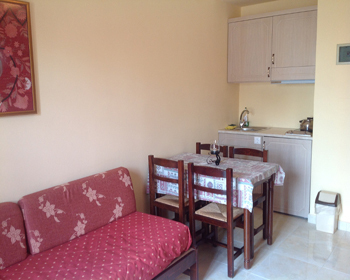 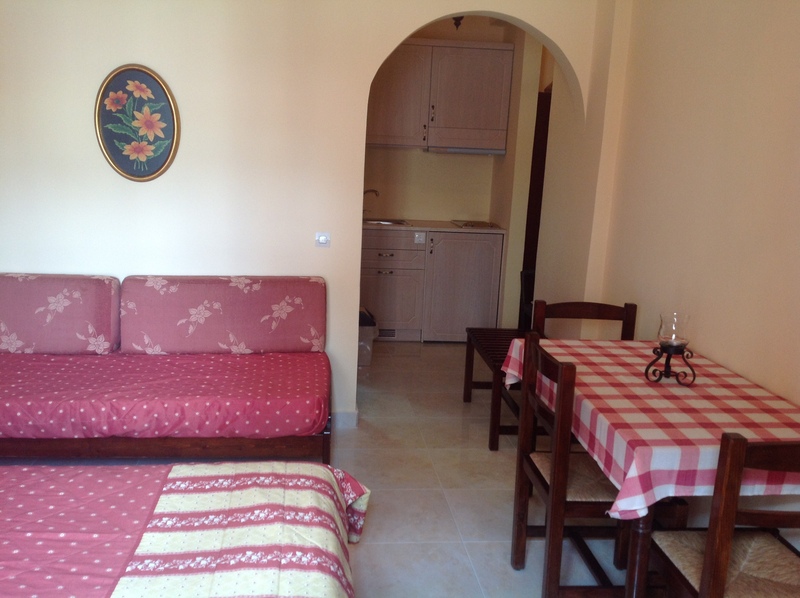 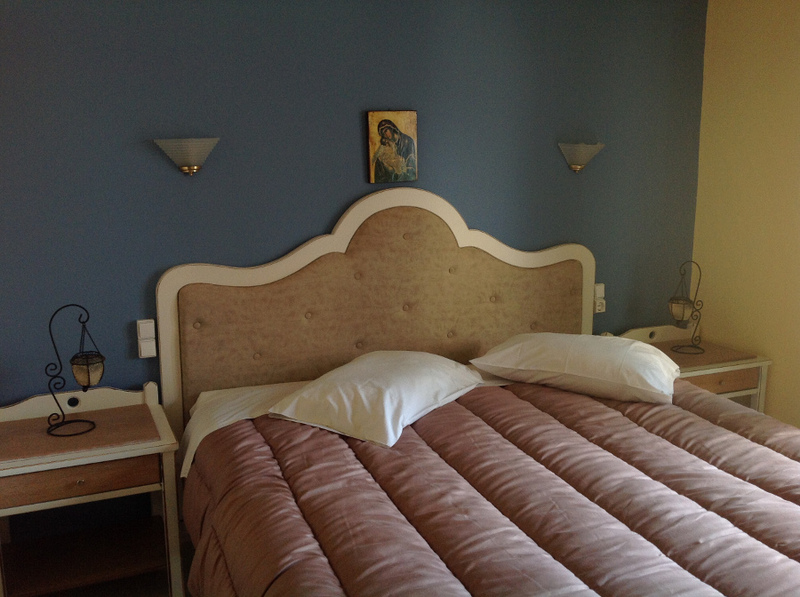 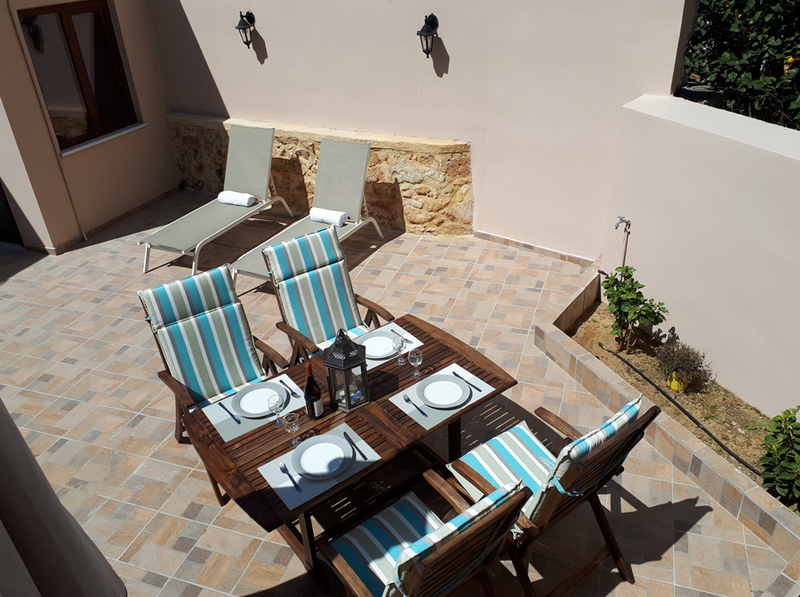 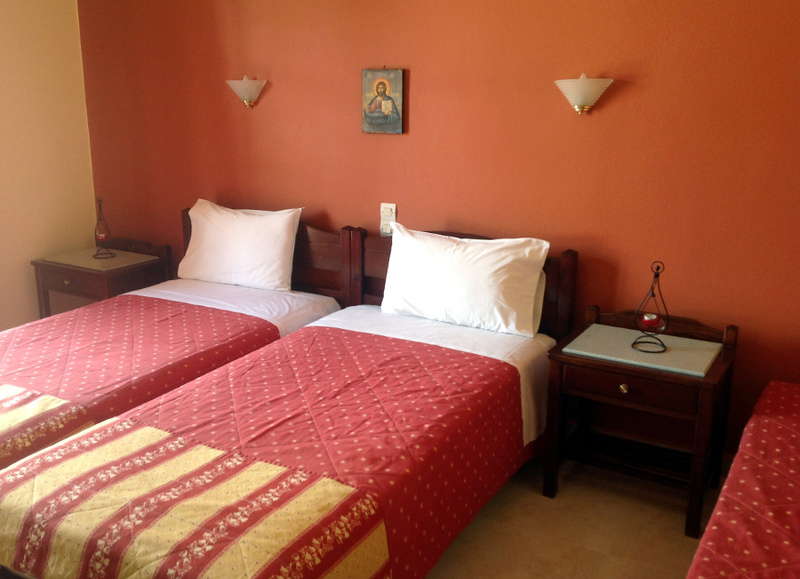 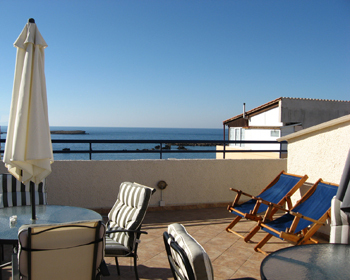 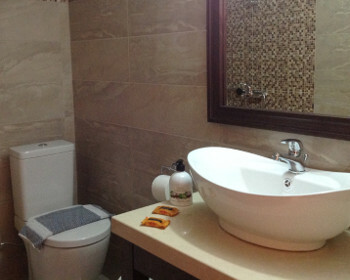 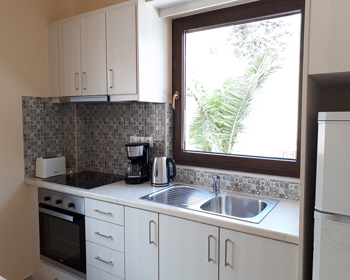 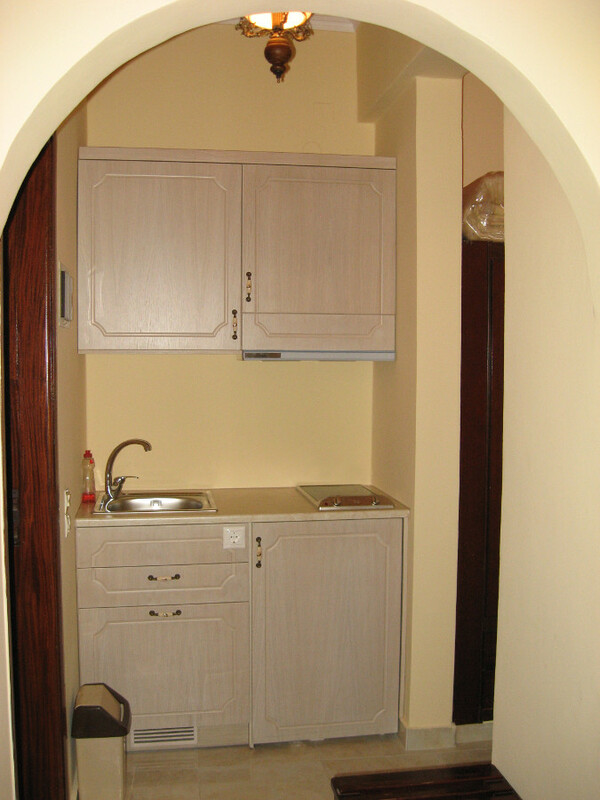 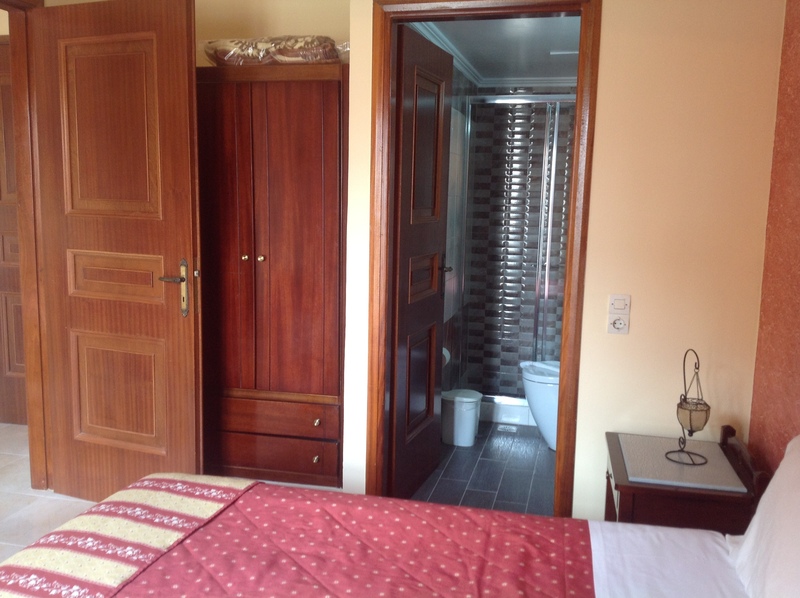 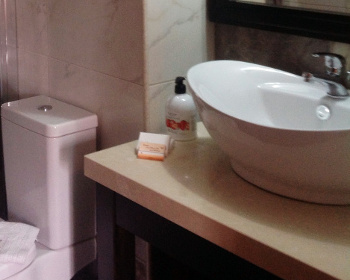 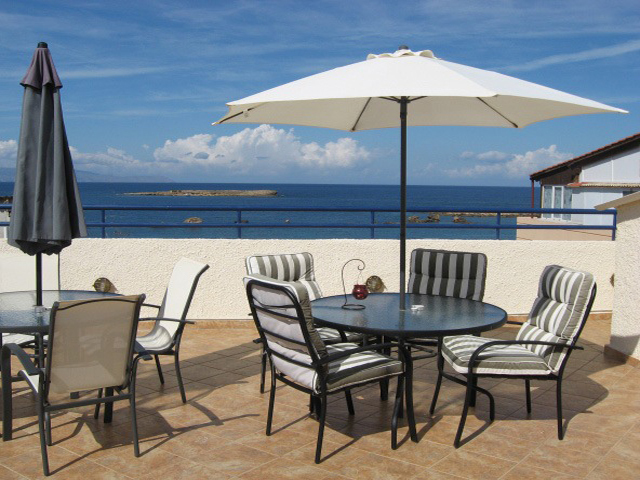 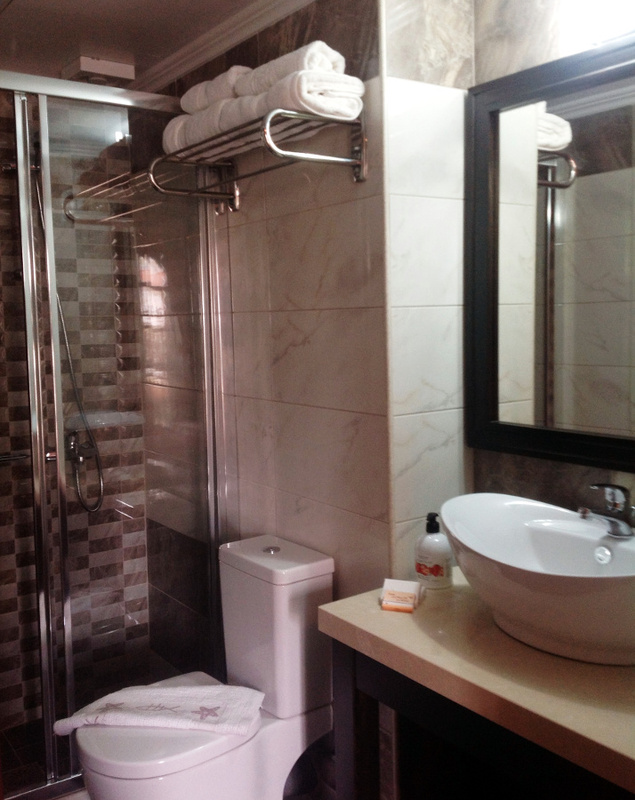 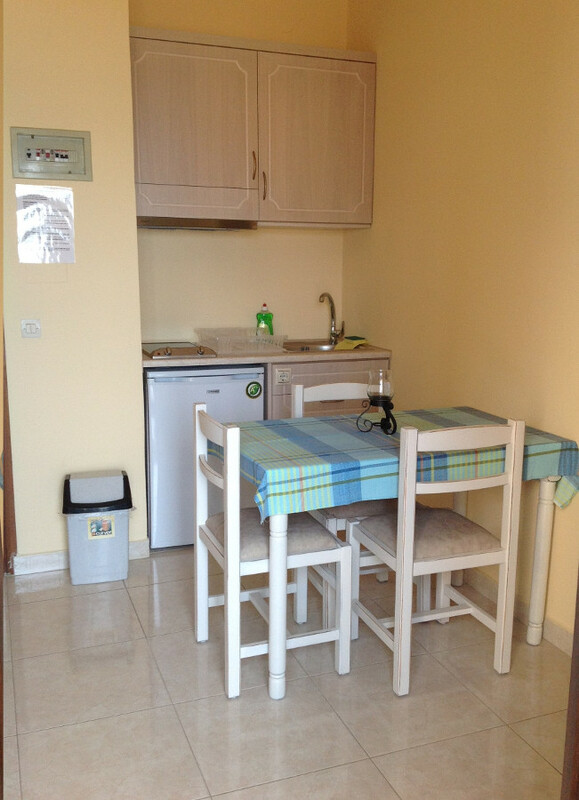 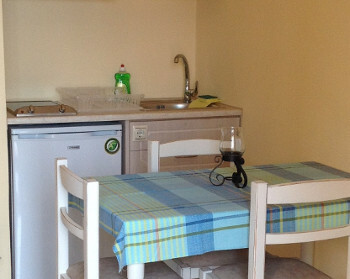 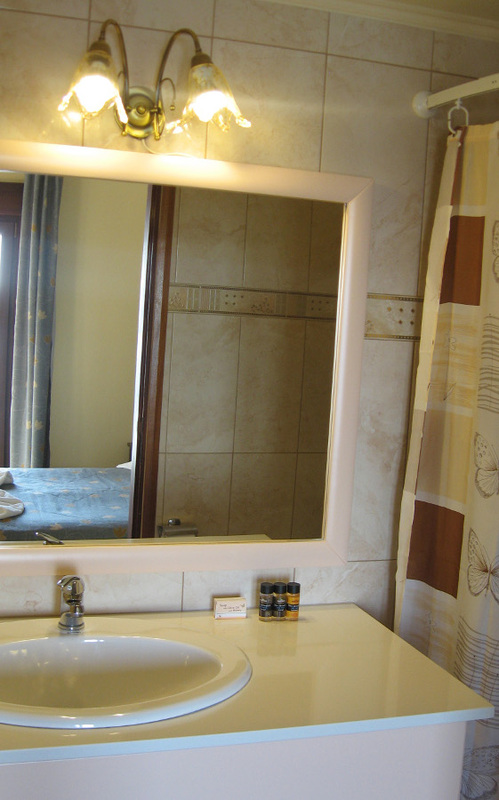 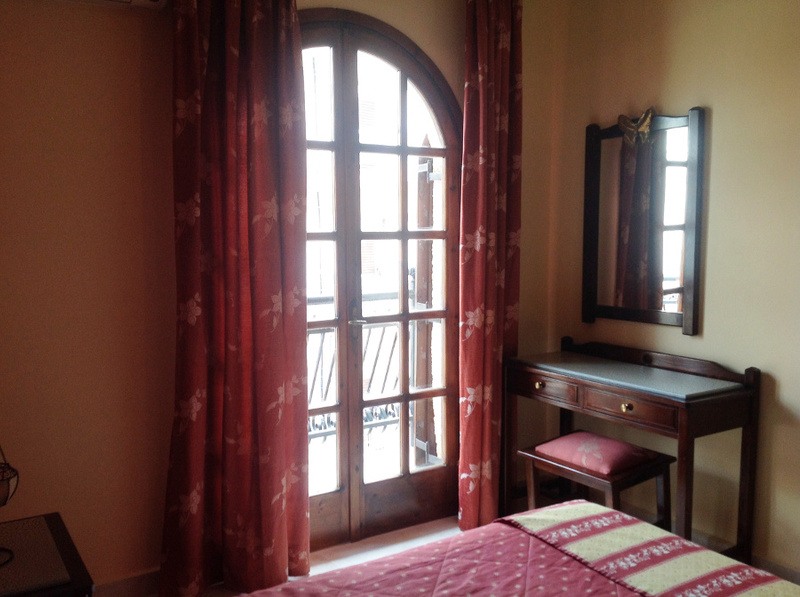 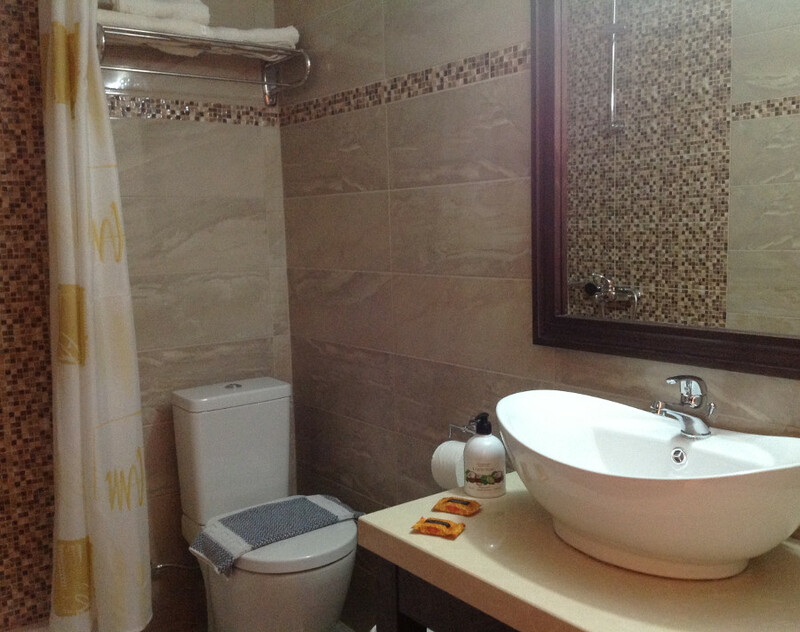 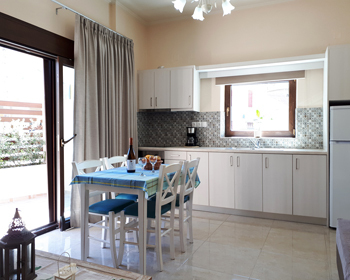 Apartments (circa 33m2) have two rooms each and can accommodate up to 4 persons. 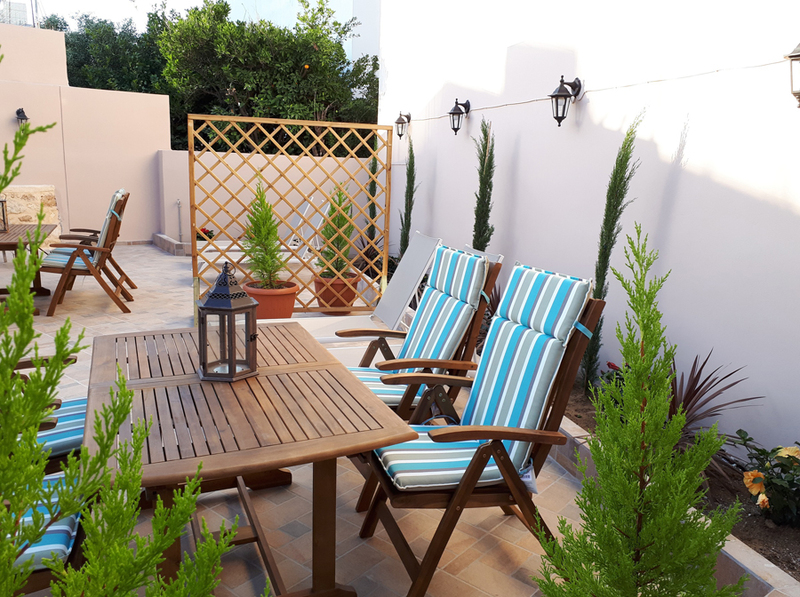 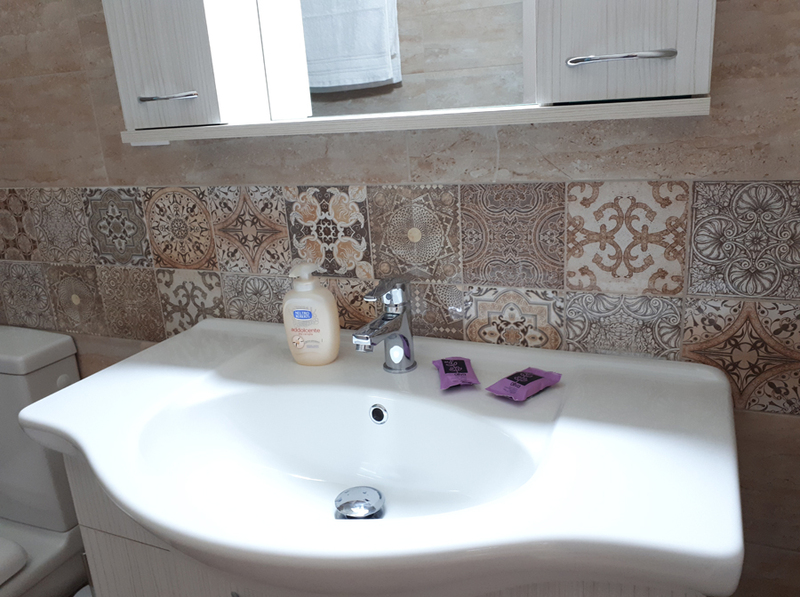 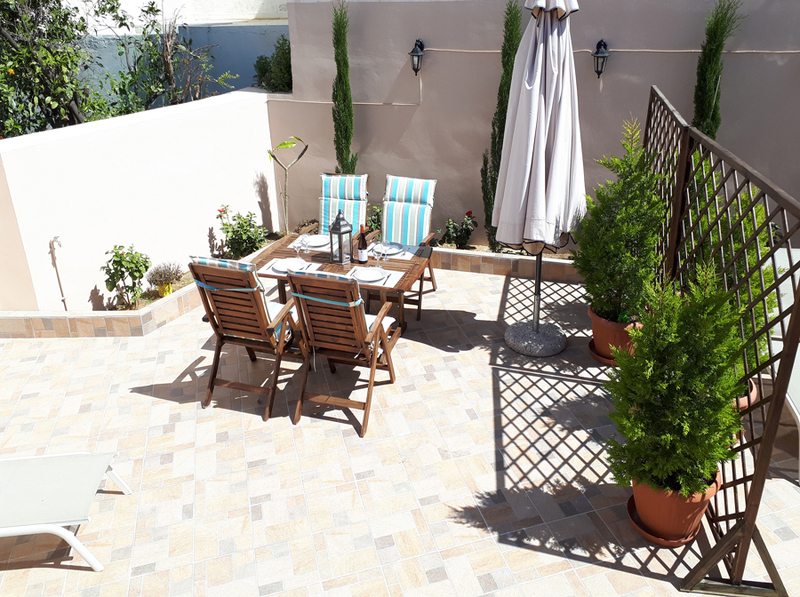 All rooms have well equipped kitchenette or fully equipped kitchen, balcony/terrace/garden, coffee machine, TV, privately controlled Air Condition, en-suite bathroom with shower, safety box, etc. 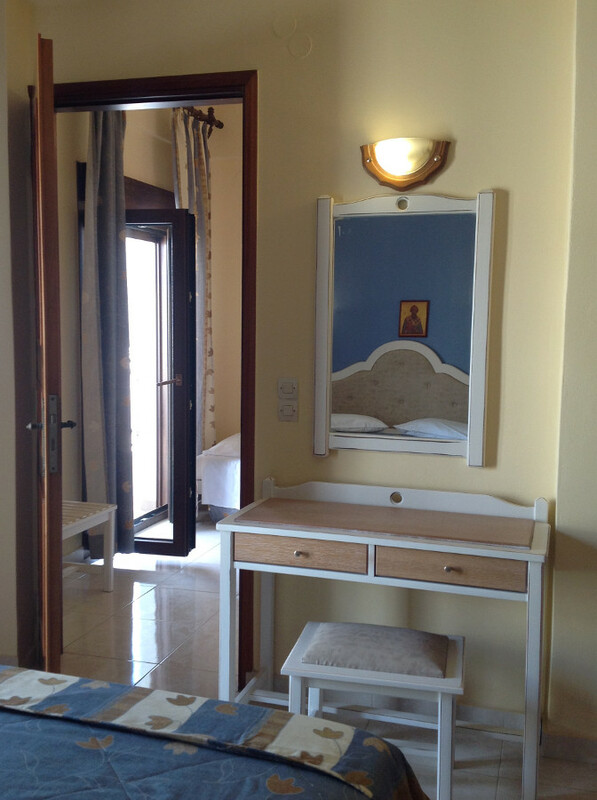 The style of the rooms is traditional Cretan-Venetian, decorated with wooden furniture and bright fabrics; spacious, sunny and comfortable. 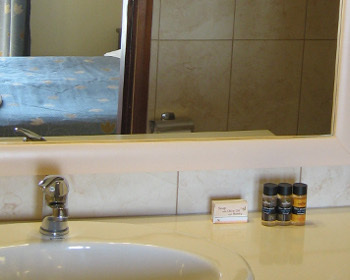 Concierge service (specific hours), Elevator, Quick check-in, Fax/Printing/Mail service. 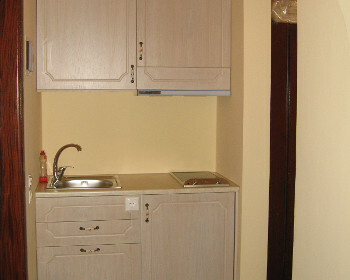 Free High speed wi-fi (public computer and printer also available free of charge). 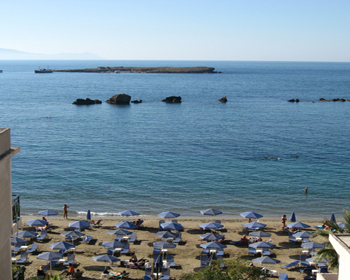 Transfer from/to the port or the airport can be arranged for our guests. 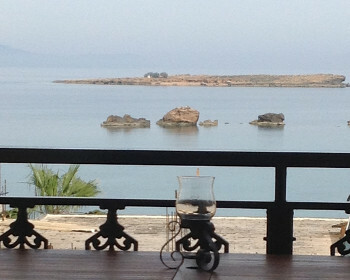 Breakfast with traditional and homemade products can be served upon request. 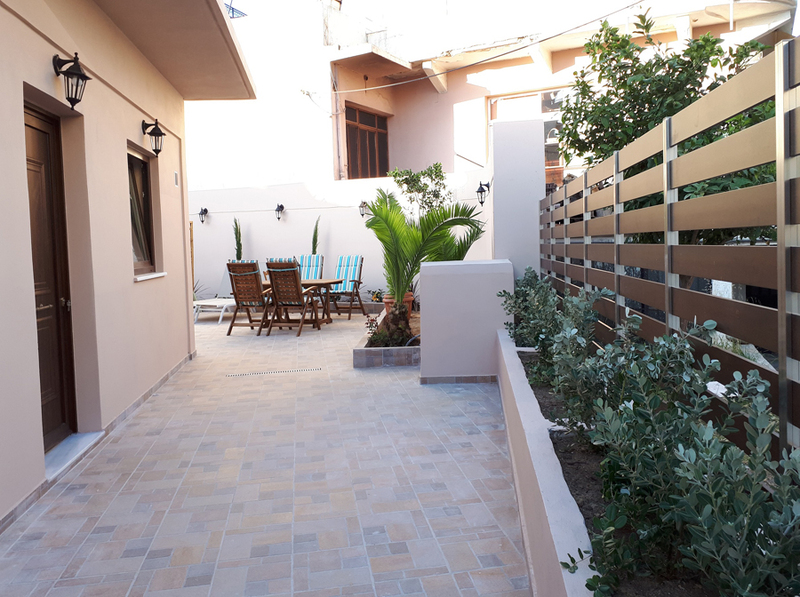 Iro Apartments and Iro Boutique Homes are in a quiet, yet very popular area which maintains its local character. 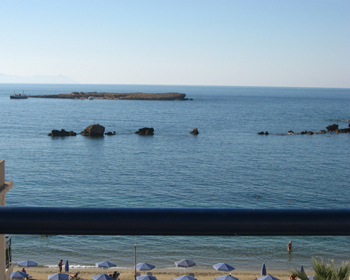 Swimming and relaxing at the sandy beach; Diving centers; restaurants, traditional tavernas and cafes; Mini cruises sailing from the old port daily; Museums, archaeological sites, churches and monasteries; Events, celebrations, theatrical plays, concerts taking place throughout the year; Nightlife going on along the old port; Excursions can be arranged all over Crete. 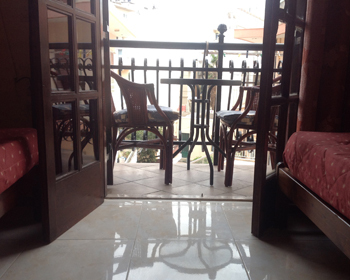 Moreover you can find many shops, bakeries, supermarkets, etc within 5-10 minutes walking distance. 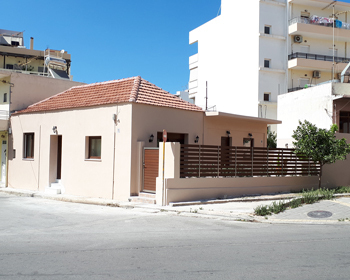 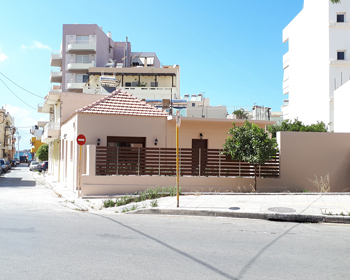 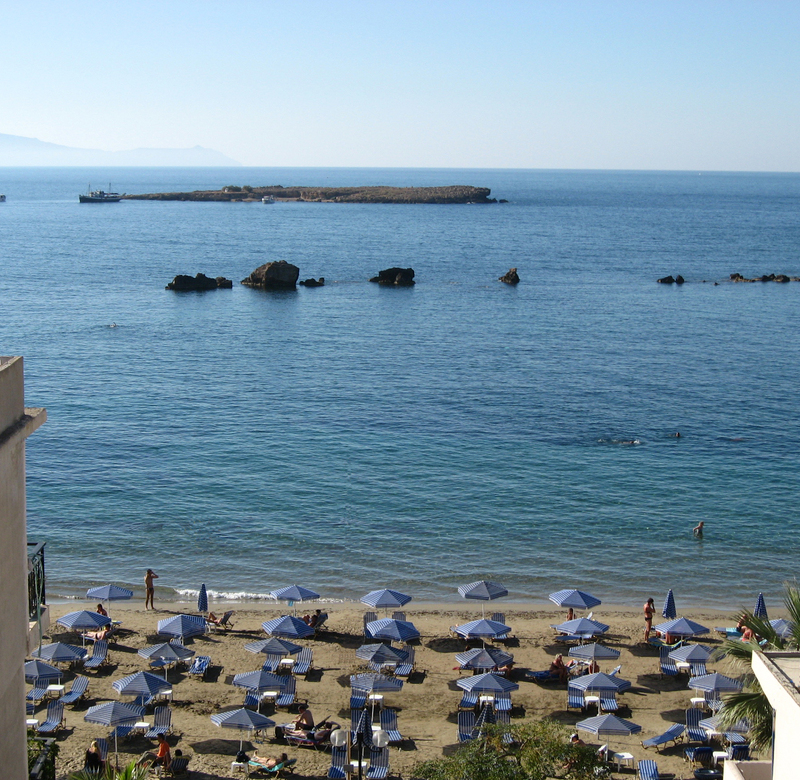 A bus stop is 30 meters away, while the central bus station of Chania is within 800 meters. 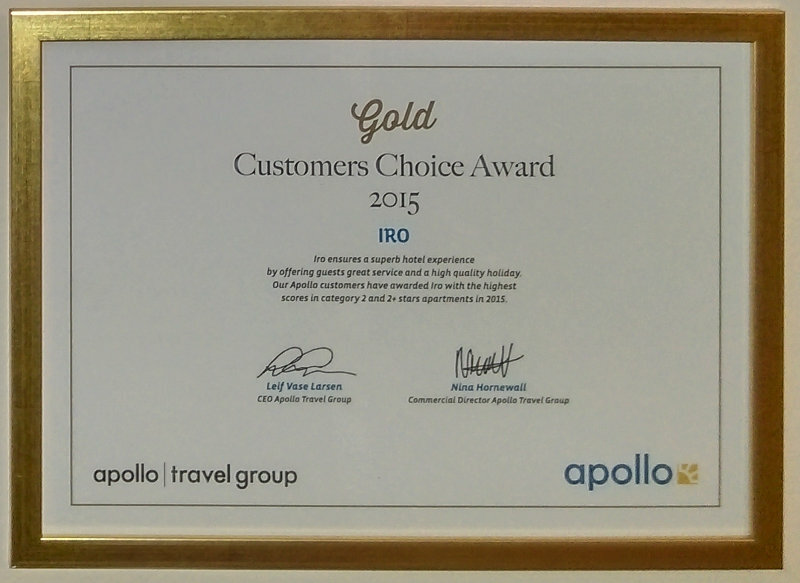 We would like to thank our guests for their support and comments. 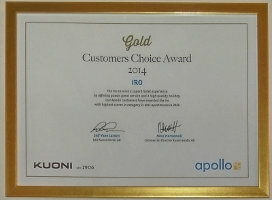 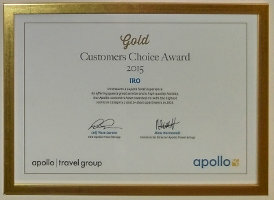 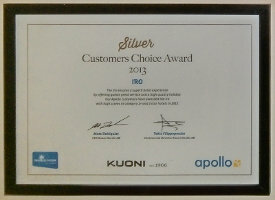 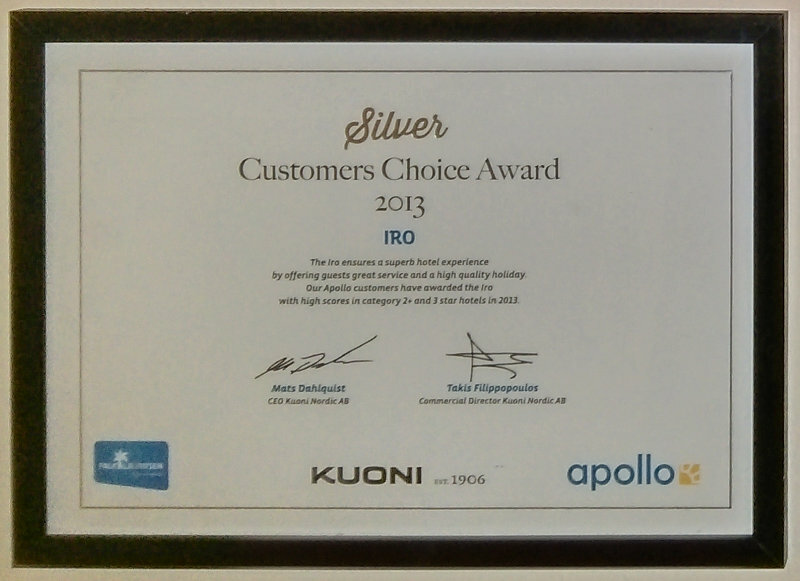 It has been their affinity that honored us with the Apollo Gold Customers Choice Award for 2014, 2015, 2016 and 2017. 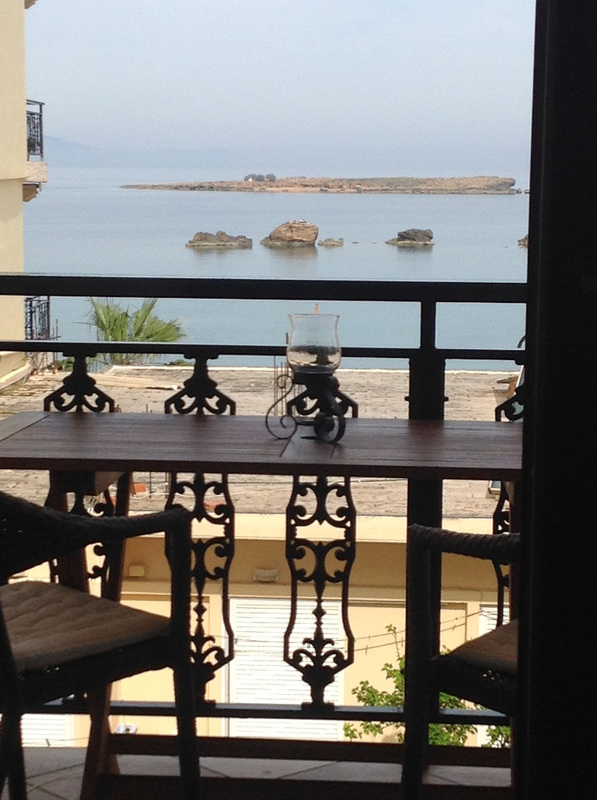 All of our guests are welcome to leave their comments on our tripadvisor page. For reservation requests please use the "CONTACT & BOOK NOW" option to see availability, or contact us by email. 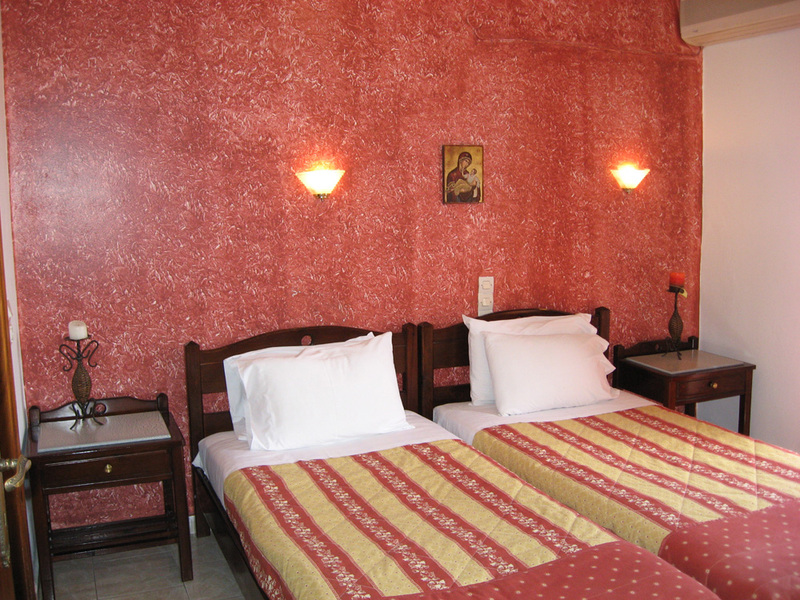 All reservation requests will be replied within 24 hours.